Home / Movies / Check Out These "Hotel Transylvania 2" Fun Facts! Check Out These "Hotel Transylvania 2" Fun Facts! As the September 23 release date of Sony Pictures Animation's adventure comedy “Hotel Transylvania 2” approaches, the studio has revealed a number of interesting, fun trivia surrounding the creation of the highly-awaited sequel. Check out the following fun facts! • The original “Hotel Transylvania” still holds the all-time record for highest opening movie during the month of September in the U.S. with $42.5M in 2012. • “Hotel Transylvania 2” takes place 7 years after the first movie: Drac is now 539, Mavis is 125 and Johnny 28. • “Hotel Transylvania 2” started production in September 2013 and was 2 years in production. 24 story artists have worked on the film over a span of 1 year and 7 months. 23 VisDev artist have worked on the film over a span of 1 year and 8 months. 17 Layout artists have worked on the film 9 months. 105 Animation artists aka animators will have been working on the film for 10 months. 87 Lighting artists working on the film roughly 10 months. A total of 194 characters and 74 environments were created for this movie. • The production team initially thought Vlad should inhabit an old-school castle—in other words, a classic foreboding location right out of a vampire movie from the twentieth century—before deciding to have him live in a cave instead to show how secluded he’s become. • There is a muscular structure rig underneath the skin of the cronies so you can see their arm and abdominal muscles when they move. • Dennis was initially designed with giant curls of his father’s red hair but when translated to computer animation, his hair was so big that it blocked the light in front of Dennis’ face and nobody’s arms would have been long enough to hold Dennis since his hair took so much space. Dennis’ final model had more than 265 individual strands. Once the computer filled in the rest, there were a grand total of 150,000 hairs. • 6-year-old Asher Blinkoff got the part of Mavis & Johnny’s son Dennis through an open casting call; Genndy Tartakovsky picked him, Adam Sandler and his team loved his voice audition. Coincidentally, Asher's 10-year-old sister Meira voiced a wolf pup in the first Hotel Transylvania, and is back providing additional voices as wolf pups and kid monsters in the vampire camp in Hotel Transylvania 2. Filmmakers weren’t aware of that until after casting Asher. 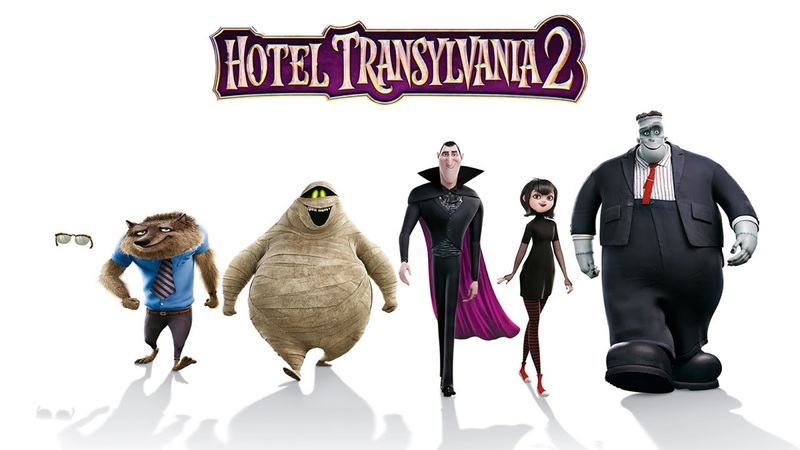 The Drac pack is back for an all-new monster comedy adventure in Sony Pictures Animation's “Hotel Transylvania 2”! 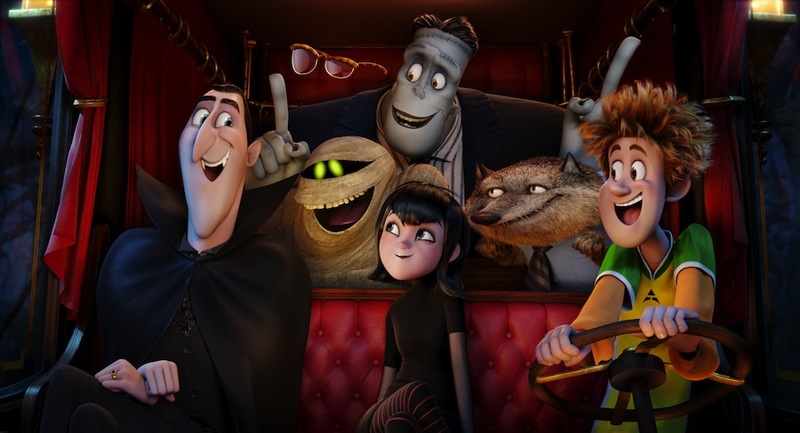 Everything seems to be changing for the better at Hotel Transylvania... Dracula’s rigid monster-only hotel policy has finally relaxed, opening up its doors to human guests. But behind closed coffins, Drac is worried that his adorable half-human, half-vampire grandson, Dennis, isn’t showing signs of being a vampire. So while Mavis is busy visiting her human in-laws with Johnny – and in for a major cultural shock of her own – “Vampa” Drac enlists his friends Frank, Murray, Wayne and Griffin to put Dennis through a “monster-in-training” boot camp. But little do they know that Drac’s grumpy and very old, old, old school dad Vlad is about to pay a family visit to the hotel. And when Vlad finds out that his great-grandson is not a pure blood – and humans are now welcome at Hotel Transylvania – things are going to get batty!